Contractors are encountering major difficulties recruiting machinery drivers. 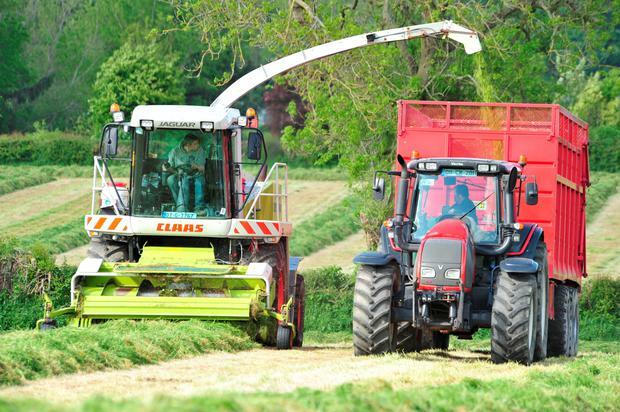 Labour pressures are biting as farmers, contractors and processors all face major shortages ahead of the busy summer period. Michael Moroney, chief executive of the Association of Farm and Forestry Contractors in Ireland (FCI), said the situation has deteriorated over the past year with major difficulties recruiting machinery drivers. “Young guys want to do other things than drive tractors now,” he said. FCI will be in contact with Minister for Business, Enterprise and Innovation (DBEI) Heather Humphreys again shortly seeking 50 permits to get drivers from New Zealand, Australia and South Africa. Mr Moroney said some permits were issued last week, however, none were given for agricultural machinery operatives. They tend to have a few farmers’ sons driving for the outfit who come back for work each season. “Finding reliable drivers isn’t easy these days, so I try to look after the lads in terms of proper wages and decent conditions,” says Tom. Meat Industry Ireland (MII) said availability of labour remains a major issue for meat processing facilities throughout the country. Cormac Healy said it had highlighted the critical nature of the situation and sought employment permits for meat processing over the past 18 months. He highlighted that the situation has deteriorated since last year where processors estimated 2,000 work permits were needed. Mr Healy said 1,500 permits have been secured to date but they understand this has now “more or less been exhausted”. Figures from DBEI show 495 permits were issued for deboners since 2015, with the majority from Brazil and Ukraine. Labour issues continue to be reported across the farming sector, particularly in dairy, horticulture, pig and poultry sectors.